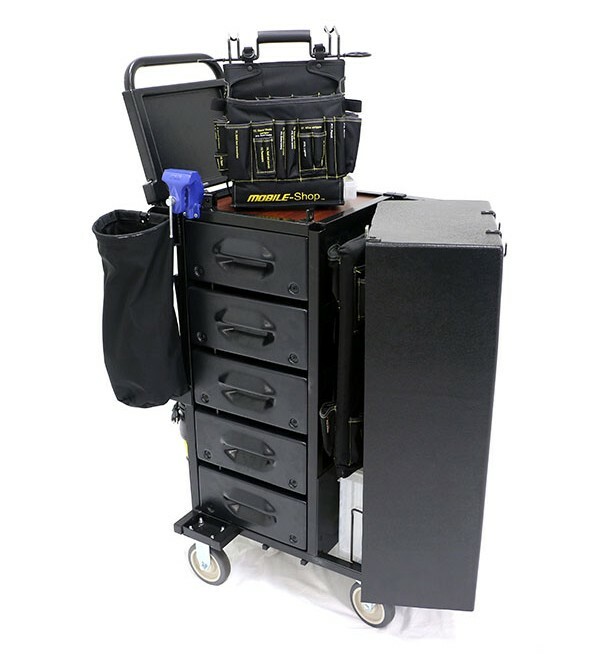 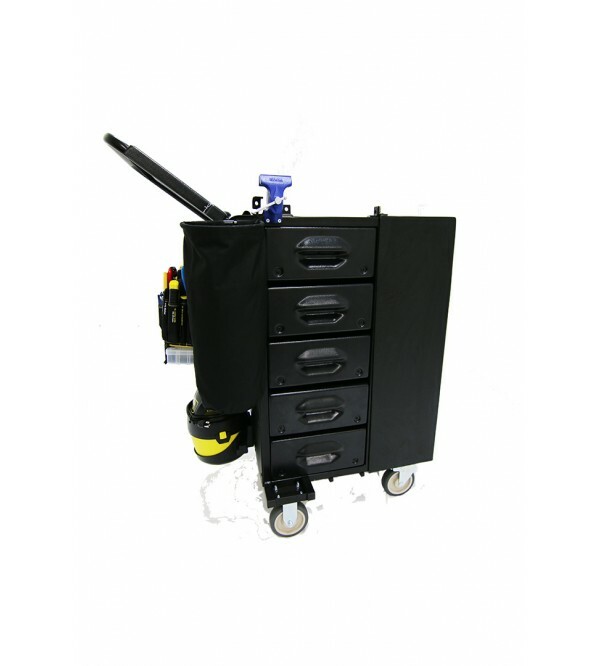 The Mobile-Shop HT Engineering Cart is more than just a mobile tool cart, it is a highly transportable engineering & utility cart designed to be totally efficient. 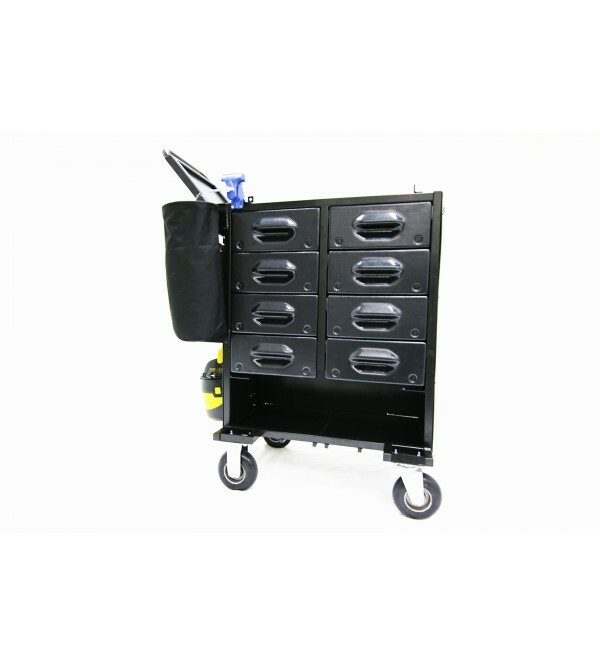 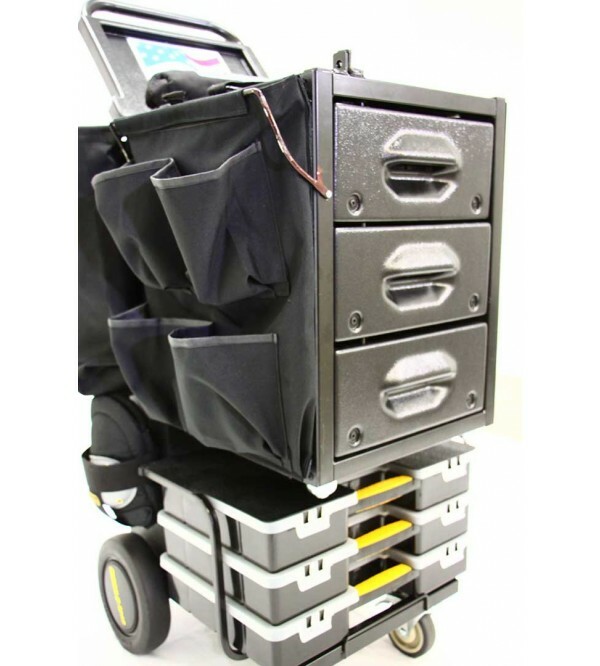 The Mobile-Shop HT Engineering Cart is our original, all-encompassing productivity solution. 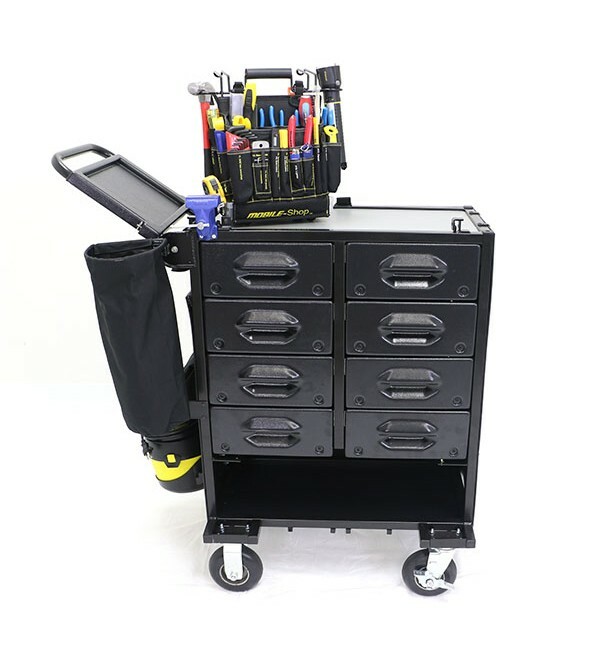 It’s been designed to breathe new life into maintenance and engineering departments by effortlessly storing, organizing, and categorizing every tool, part, and piece of hardware that up to 90% of maintenance tasks require. 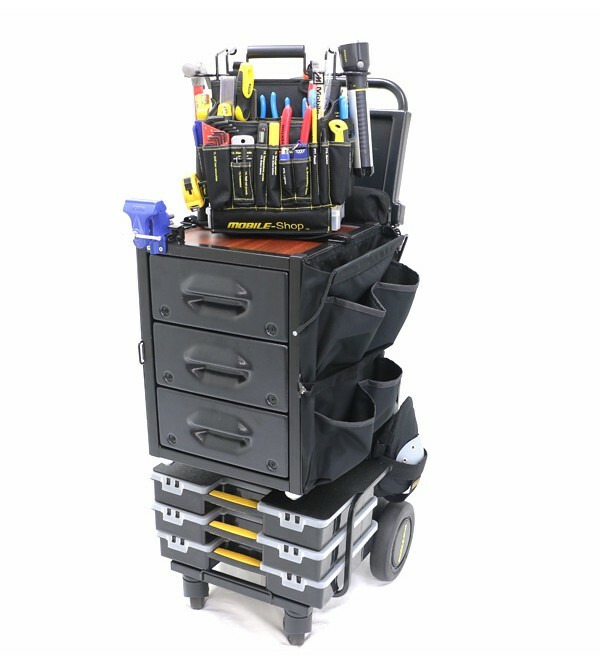 With the HT Engineering Cart, whether you need a ladder, a first aid kit, or a socket-wrench there’s never a need to go back to the “shop” to get the right tool or part for the job, because it’s already right there with you. 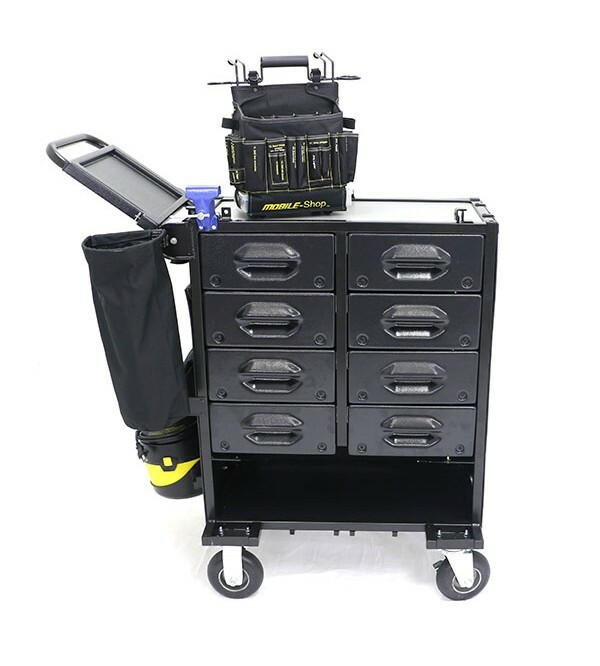 It’s easy, it’s fast, and it’s effective. 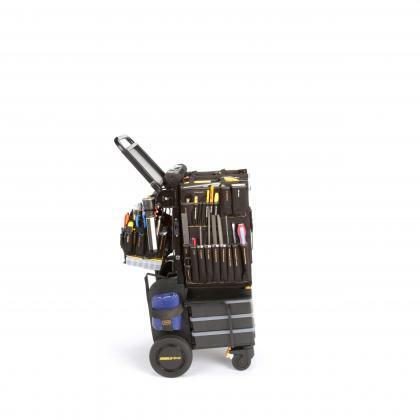 It streamlines maintenance operations for any business. 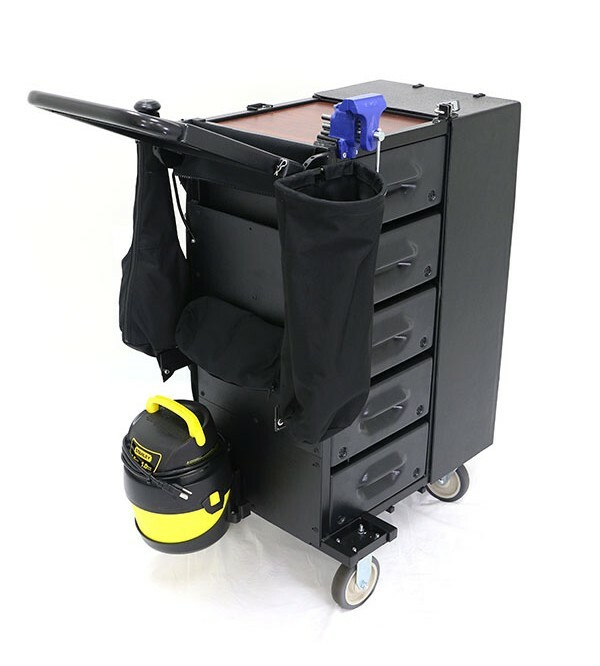 The Mobile-Shop HT Engineering Cart is a perfect choice for applications where there is a need to consistently transport the system between buildings, up and down stairs, by vehicle, or by golf cart (with available utility bed). 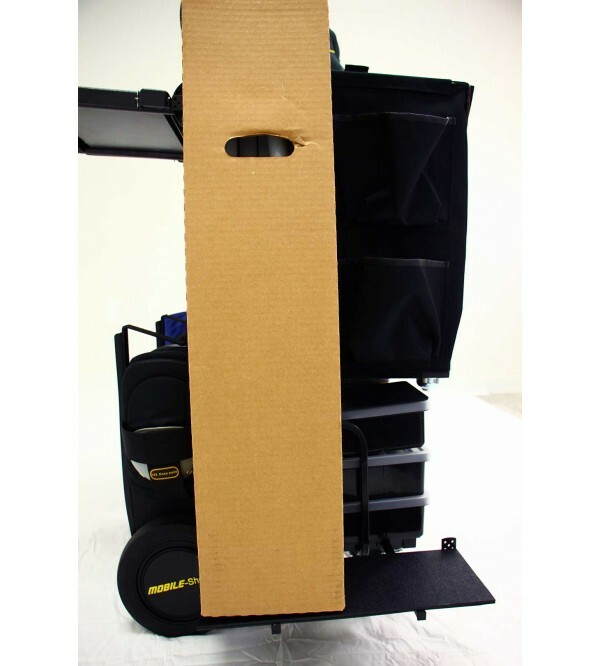 Quickly breaks down into four manageable pieces, under 50 pounds each.